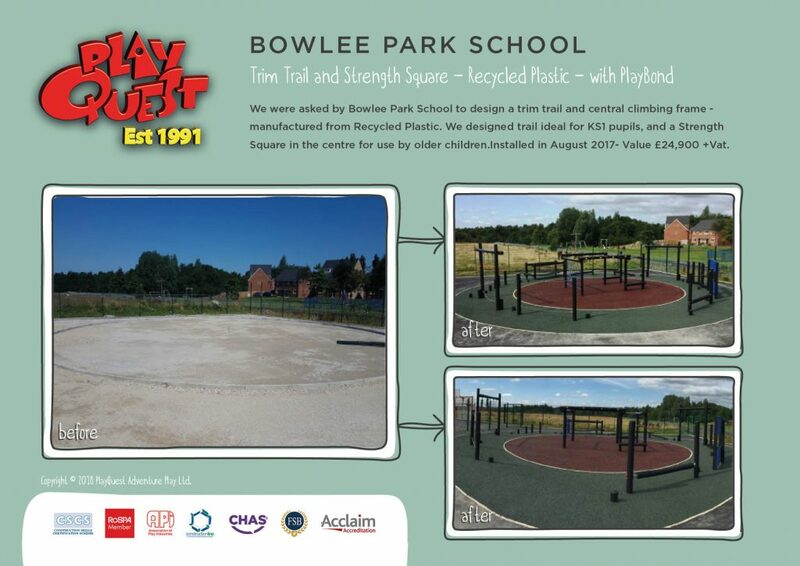 We were asked by Bowlee Park School to design a trim trail and central climbing frame – manufactured from Recycled Plastic. We designed a trim trail ideal for use by KS1 pupils, and a Strength Square in the centre for use by older children. Installed with PlayBond surfacing.